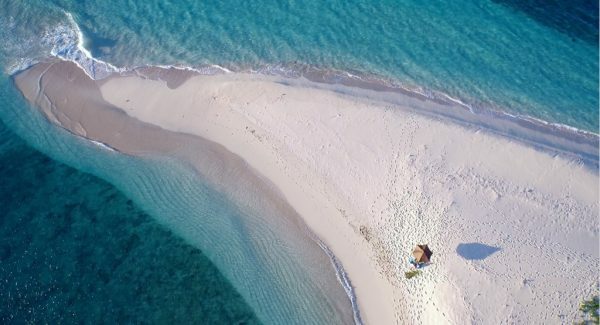 On a tiny island in the middle of the South Pacific lies one of the most beautiful white sand beaches you’ll find anywhere and it’s not in Bora Bora or French Polynesia. It’s Yasawa Island in Fiji! 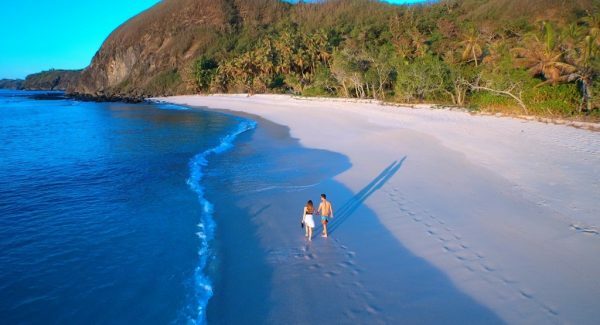 Just 25 minutes north of Nadi, Yasawa Island is the stuff of vacation and honeymoon dreams, and if beach perfection aint enough to get you packing, consider the private beachfront accommodations and indulgent all inclusive experience you’ll find at Yasawa Island Resort. With only 18 thatched roof bures on the entire island, Yasawa Island Resort in Fiji is designed for romance and relaxation. Every bure features a king size bed, living area, luxurious bath, beautifully furnished oceanfront terrace. day bed, Fijian style outdoor shower and hammock. 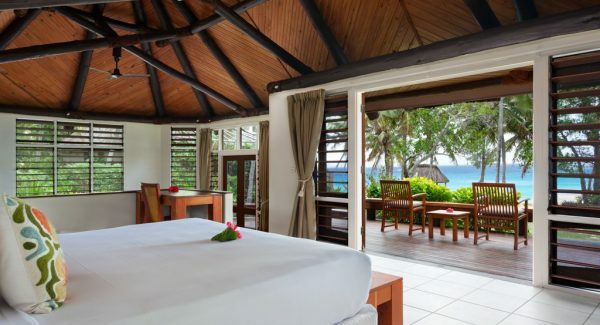 Every beachfront bure has a panoramic ocean view and is steps from the silky white-sand beach. But for the ultimate getaway, the Honeymoon Bure is on a secluded end of the pristine beach and has a massive deck and private horizon pool for romantic tropical island living at its finest. There is also a two bedroom bure perfect for 4 adults traveling together. All Yasawa Resort guests enjoy gourmet meals, snacks, private beach dinners, snorkel trips, kayaks, windsurfing, stand up paddle boards, weekly 3 hour Blue Lagoon excursion, Fiji village visits, kava ceremonies and other activities free of charge. Extra cost items are deep sea fishing, alcoholic beverages and spa treatments. But wait! If you are a spa junkie it’s only 495 Fijian dollars, about $240 U.S., for a 50 minute spa treatment each and every day you stay at Yasawa Island Resort. Woohoo! Another awesome inclusion is a private beach picnic. Choose one of 11 white sand beaches, ask the staff to prepare a picnic lunch, grab your flipflops and extra sunscreen for skin that hasn’t seen the sun in a while and off you go! Just you, your special someone and time in paradise by yourselves. I guarantee you’ll return with memories that last a lifetime and you can do it every day at Yasawa Island Resort in Fiji at no extra cost! So if you’re planning a destination wedding and want to be married on a white sand beach, call me. The legalities are easy in Fiji and Yasawa Island provides the perfect setting for an amazing ceremony and incredible wedding photos. Want to be married in the states but looking for a unique and exotic all inclusive honeymoon? Yasawa Island Resort is the perfect choice! Been married awhile and want to celebrate a special anniversary? You won’t find a better place to celebrate your love and life together than Fiji. The Fijian people are simply amazing and the bula spirit outright contagious. So call, email or request a quote. I go to Fiji often, guarantee the lowest price available and promise to make your Fijian vacation experience exceptional. Vinaka vakalevu!